If you cannot find the answer to your question in this section or within our website, please send us an email with your question to tim@lostgeneration1914-18.com and we will answer your question by return. Q - What is a bespoke tour? A - With a bespoke tour we work with you to develop your vision into the tour that you've dreamed of, take away the stresses and strains of organisation and leave you to look forward to the perfect break. Q - Do you have specific pick up points for your tours. A - Yes, we pick up from Calais, Dunkerque, Lille, Ypres and the Somme. Q - If I cannot get to a pickup point can you arrange transport to get me there? A - Yes we can organise connecting travel plans to any of our pickup points, Connections from anywhere within the U.K and Ireland are available, connecting travel is charged at cost, we do not apply a booking fee for this service. Q - Can I stay at Freeman Farm on a B&B basis without booking a tour? A - Yes, Freeman Farm is a B&B and is available for booking on a night by night basis to anybody travelling independently. Q - Are there any chargeable extras which I need to plan for on your bespoke or scheduled tours? A - No, our tours are fully inclusive of everything within your itinerary, covering travel to and from our collection points, all travel throughout the tour, breakfast, lunch and dinner, snacks, hot and cold drinks during the day, a guide/host with you at all times and all entry fees to museums or attractions as part of your tour. Q - Do you only cater for small groups of 6 or less? A - No, we arrange tours for groups of all sizes, with a small group we feel that it is easier to give the individual more one to one time, larger groups receive the same high quality all inclusive experience, just with larger numbers. We can provide additional guides / hosts to larger groups if requested. Q - Will your guide / host be with us at all times? A - All of our guides / hosts live permanently within the battle fields of France and Belgium, they will meet you at one of our collection points and be with you at all times until we drop you off at the end of you tour. 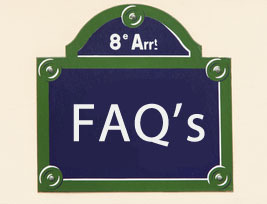 Q - Are the battlefield tours varied? A - Our scheduled battlefield tours cover a wide variety of things, trenches, bunkers, cemeteries, museums, memorials and a whole lot more. We feel that it is important to give people the chance to see a cross section of everything relating to the Great War. Q - Can you help me to research a relative prior to my tour? A - Yes, we have extensive research materials available, this along with the records held at the National Archives and military museums should enable us to help you retrace the footsteps of your ancestor. Q - How do I make a booking? Q - Will the ever changing sterling - euro exchange rate effect the price I pay? A - No, the price that we quote is the price that you pay; all prices are quoted in sterling to ensure that you know exactly how much you are paying. Q - Do you have a smoking policy? A - Yes, Freeman Farm, our tour vehicles and all other accommodation that we use operate a non-smoking policy. 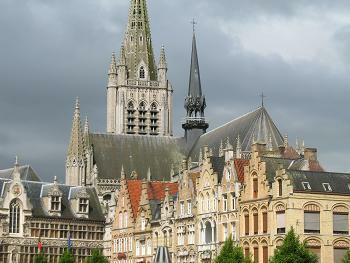 Ypres was completely destroyed during WW1 but restored to it's former glory after the war.